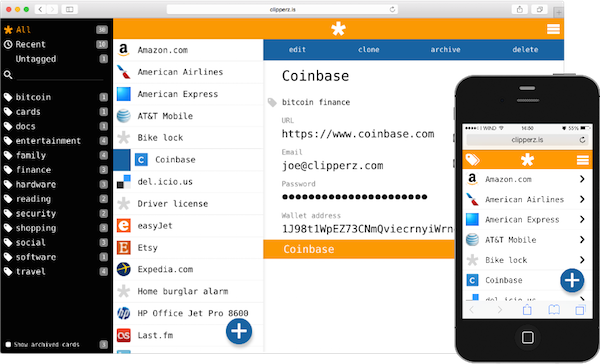 Everything you submit is locally encrypted by your browser before being transmitted to Clipperz. The encryption key is a passphrase known only to you! It is impossible for anyone without that key to decrypt your data. Do not trust us! Trust our code and the Clipperz community of users and developers! Clipperz believes in the value of anonymity. The less Clipperz knows about you, the more secure your data are. Clipperz doesn’t ask for your email or any other personal information. Clipperz code is available from Github, play with it.